To fit 42.4mm diameter tube. Suitable for fixing with high strength Stainless Steel Adhesive. 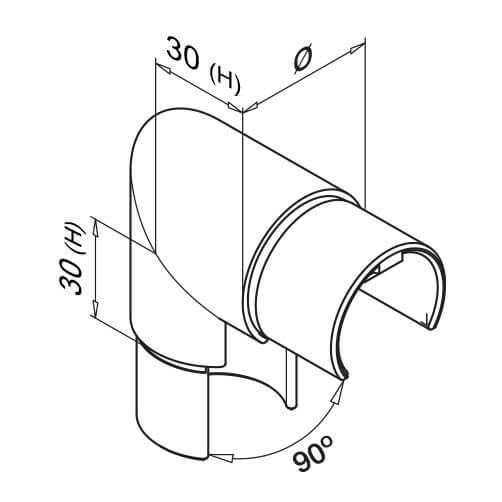 Designed for Rubber Handrail Gasket mounting. Vertical corner connectors to join sections of glass channel handrail. Designed to fit with the use of a rubber handrail gasket, providing you with a flush fit with low tolerances. 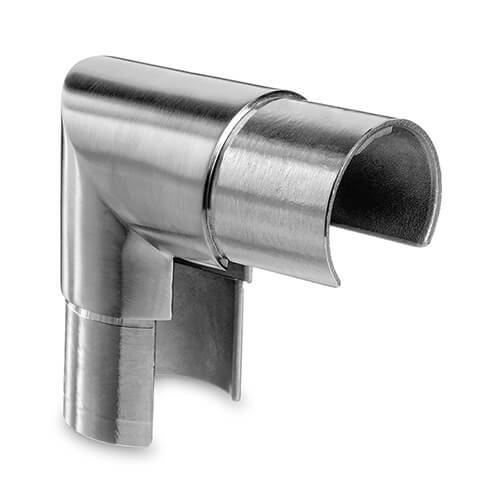 Suitable for indoor applications, in 304 grade stainless steel. Finished to a high quality brushed 320 grit satin. Vertical handrail corner connector in use. Stainless steel Tubular Handrail for glass channel balustrade. Glass Channel Handrail Rubber Gasket for fixing to glass. Mono and Laminated Glass Panels for glass channel balustrade. High strength Stainless Steel Adhesive for installation.